In a basketball private training session I had today a slightly disturbing experience. I worked out with a 11 year old boy who had just finished playing in one of Greater Austin’s youth basketball leagues. This league will remain anonymous. The boy was a polite, smart, attentive and focused young man who clearly came from a good family background. I asked him to assume a triple threat position… he could not. I asked him to execute a jump stop… he did not know what it was. I asked him to assume a defensive stance and execute a defensive slide. He did not know what I was talking about. Once the look of shock wore off my face, I realized that his youth basketball team coach was probably a well intentioned Dad who gave up his own leisure time to do the very best he could for his son/daughter and their team. Perhaps the child learned these basketball basics and forgot them. I asked if that was possible. Definitely not. He had never heard of these concepts. He was, however, able to execute a drop step after 15 minutes of instruction, mastered (at a very basic level) rip thrus, jump stops, and defensive sliding all in the remaining 30 minutes. He had a high learning aptitude for basketball fundamentals. This aptitude had been wasted for the last season. It reminded me of a team of 13 year olds I coached in Manhattan Beach, CA many years ago. Some of the teams we faced in the league had 3 different traps, 5 out of bounds plays, 2 set offenses, and….. 50% free throw shooting, kids dribbling with their heads down, a complete lack of trust in their teammates, complete inability to box out with sound technique, and an obsession with the three point line. We are failing these kids. The question then becomes: “How can Austin Youth Basketball best help these kids basketball leagues throughout Greater Austin?” I am open to proposals. Bring your ideas. Here is mine. 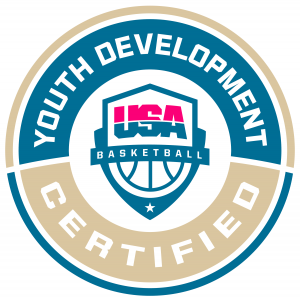 Get every coach in your league (and I do mean every coach) together in one gym and we will go over the fundamental essentials that each child deserves. We can also go over the essentials of practice planning. Our focus will be teaching the coaches to teach the kids how to play. If you want to teach the kids plays (Xs and Os) rather than how to play- this will not be a fit. If your primary goal is a championship trophy- this may not be a fit. I suspect that is not the reason most of you have gone into youth sports. Each coach deserves a chance to make a difference. Their hearts are in the right place. Many coaches need coaches. This will greatly enhance the experience for the player and the basketball coach.